This lovely box is perfect for your jewelry or other treasures. It is porcelain, with three flying dolphins appliqued on the top. 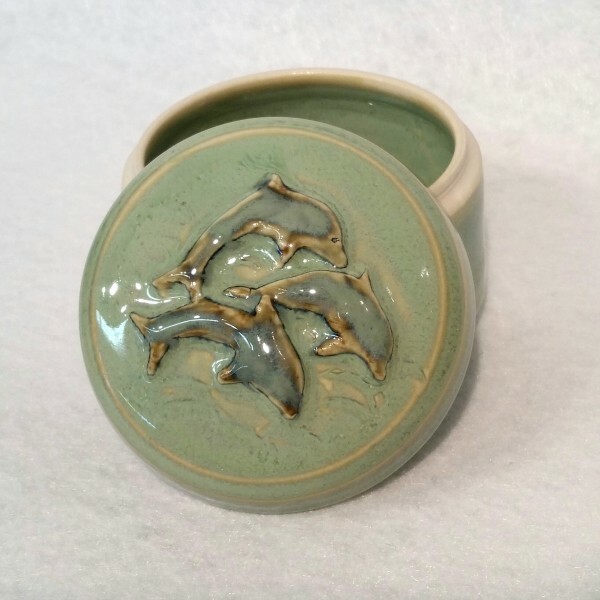 The dolphins are accented in a blue glaze, while the box is glazed in a rich sea green. It is 3.5" in diameter an 3" tall.